What a sweetheart! In that first photo, you can just feel the joy! i had a dog when i was a teenager – and when no one loved me and understood me – he did – and my world fell apart when he died.. I know dogs are the best friends to humans in comparison with other pets. Thank you to everyone who has been so kind to honor Libby’s passing and who have sent or thought good wishes. 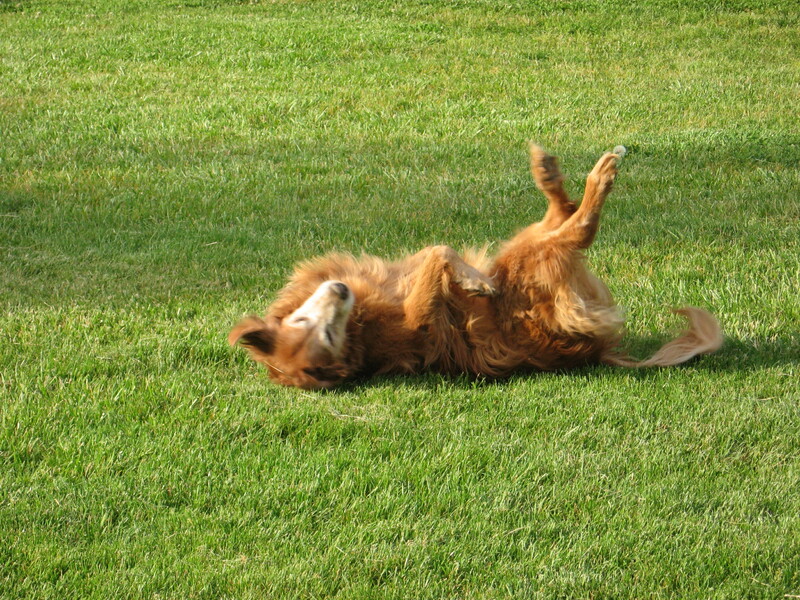 She was a wonderful dog with a happy attitude – never believed in being depressed. She believed in schedules – and anytime I forgot to stay on schedule, she used to come and tell me. Time to make Rich’s dinner; time to take the boiling veggies off the stove; time to take a break from writing; time to sit and have a chat with her and share a joke; time to play; Libby had time for everything and made sure I did too. This morning her spirit saw me feeling sad, so she bossed me once again and told me to go find another golden to love and spoil. I’m now sitting here writing beside Justice, my new 15-year old golden retriever friend. He moved into his new retirement home with a look of relief and happiness that would have made Libby proud. So, thanks everyone for all your kind wishes and support. Hopefully this writer can get back to work and start writing again!! Oh, you put up a picture of the three winter lily leaf sprouts – how lovely. I’m glad Libby is still with you, keeping you focused. Welcome to Justice! You have a wonderful, big heart, Broken Pen. Keeping you all in my prayers. I am so sorry for your loss. 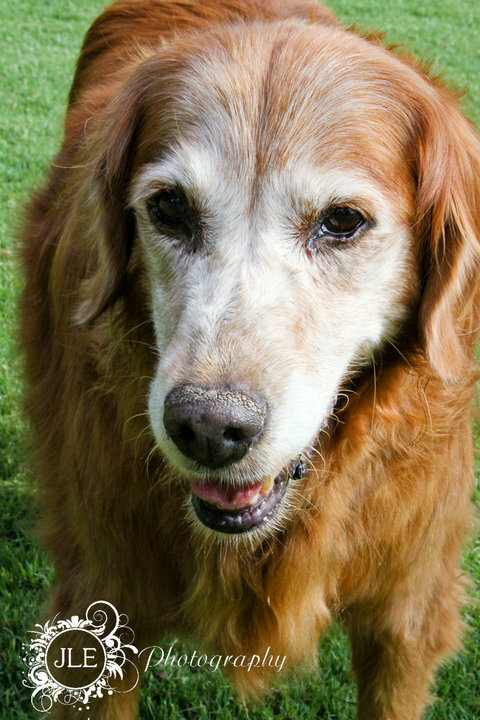 Your poems about libby and your other goldens hooked me to your blog. I have wondered several times in the past month, why your pup poems stopped. Now I know. My thoughts and prayers are with you. 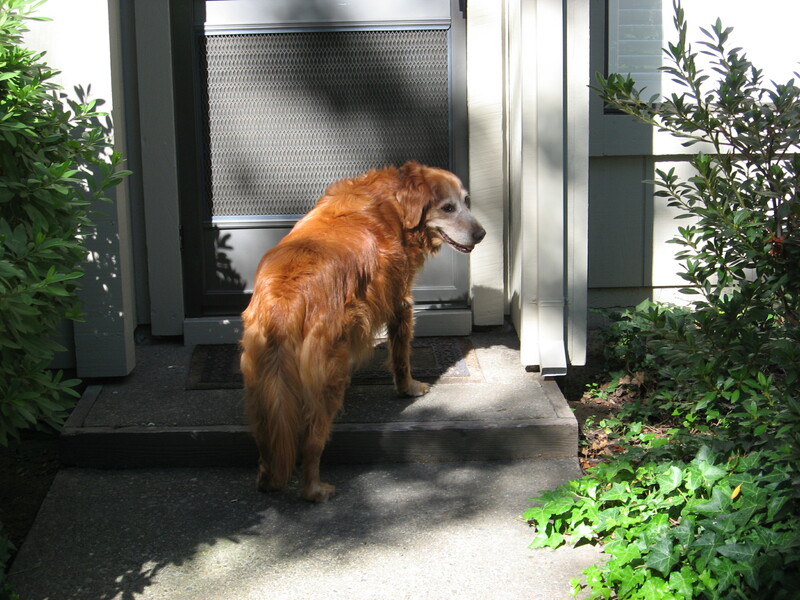 My golden retriever is so much like yours and my heart cries for you as you grieve. Many blessings, dear friend. I’m sorry about Libby. She sounds like she was a wonderful part of your family. Justice will never replace her, but I’m sure he will push other stuff out of the way to make room for himself in your heart (turning around three times first, of course).